2 What is a Solution? Well mixed mixture that contains a solvent and at least 1 solute. 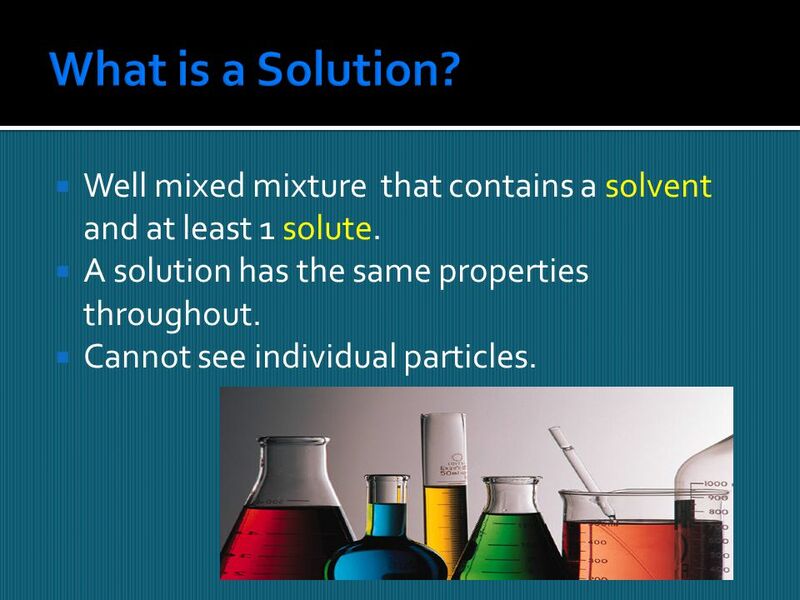 A solution has the same properties throughout. Cannot see individual particles. 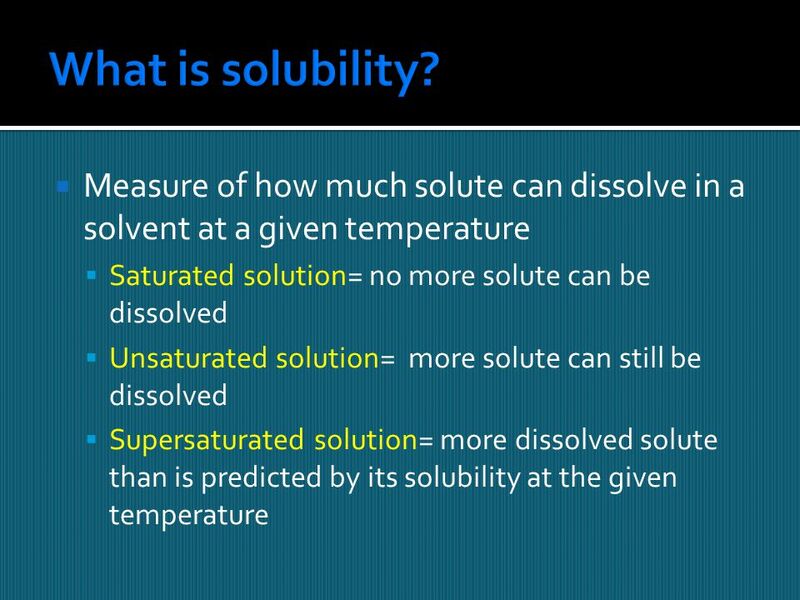 3 Parts of a Solution Solute- substance that is present in smaller amount and is dissolved by the solvent. 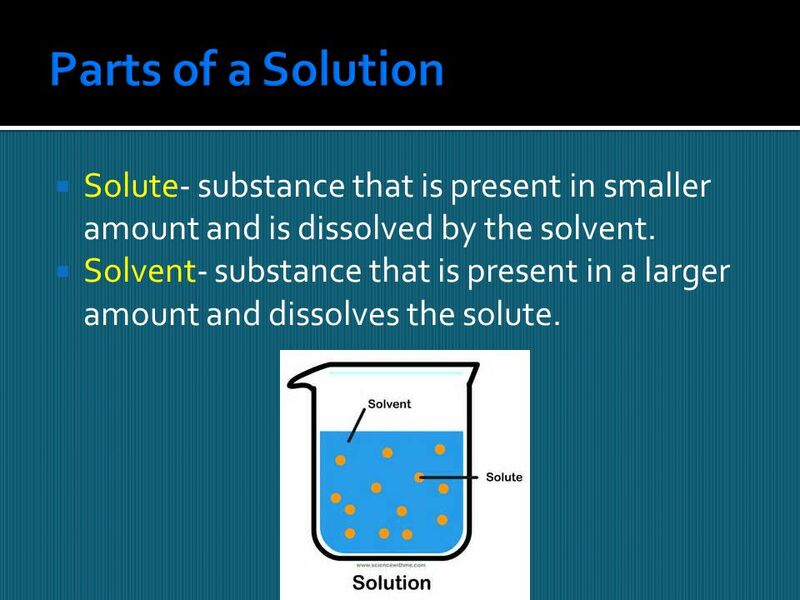 Solvent- substance that is present in a larger amount and dissolves the solute. 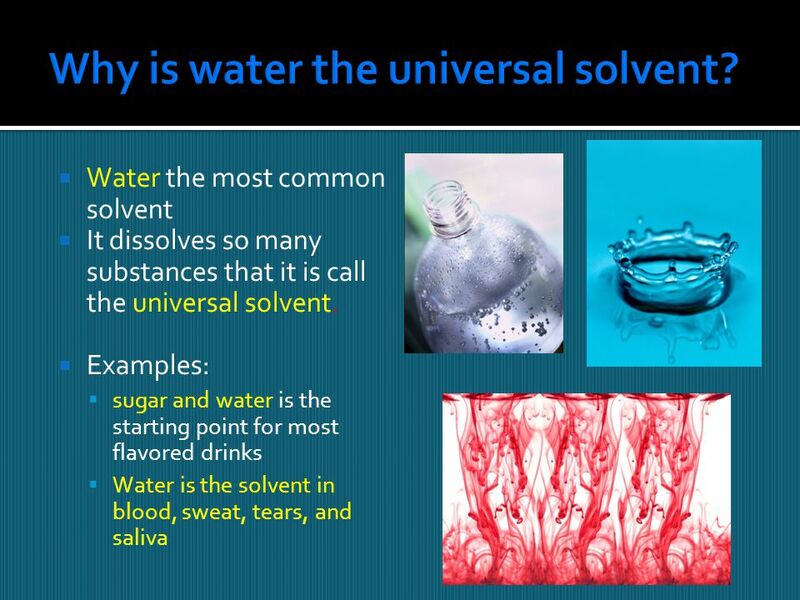 4 Why is water the universal solvent? 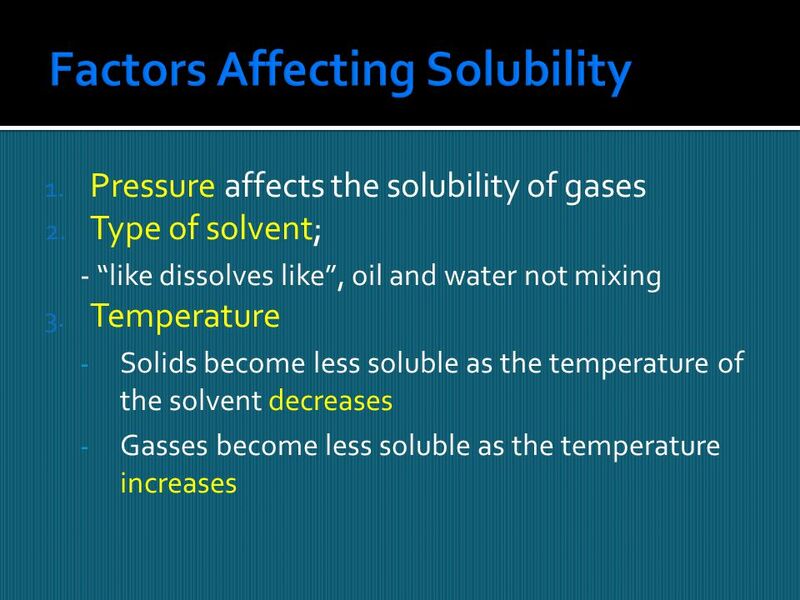 10 How does a solute effect the solvent? 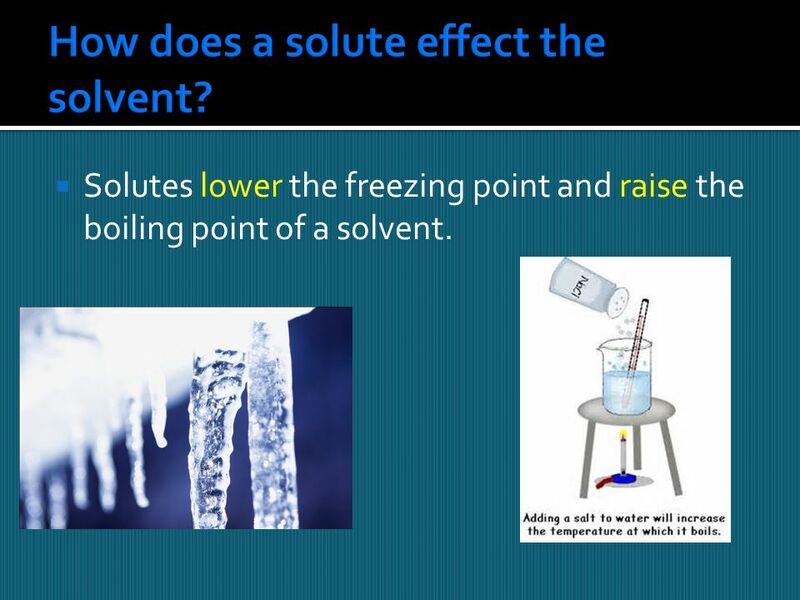 Solutes lower the freezing point and raise the boiling point of a solvent. 11 How is concentration measured? Mixtures Mixture: a combination of two or more substances that are not chemically combined. Can only become a mixture if they do not react to form a compound. 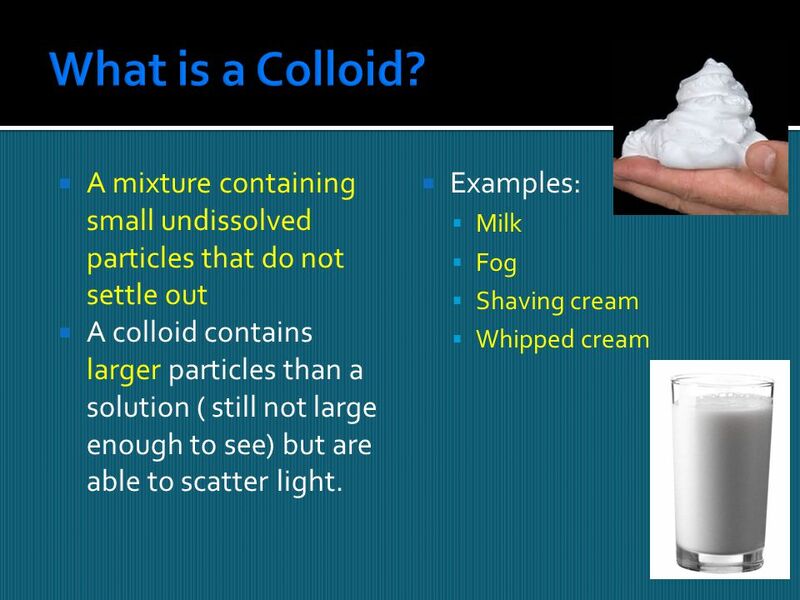 Classification of Matter Matter – anything that has mass and takes up space Pure Substance - matter that CANNOT be physically separated Compound – made. Solutions.  Describe the properties of a solution.  Identify the solute and solvent in the preparation of a solution.  Describe and give examples of. More Mixtures. 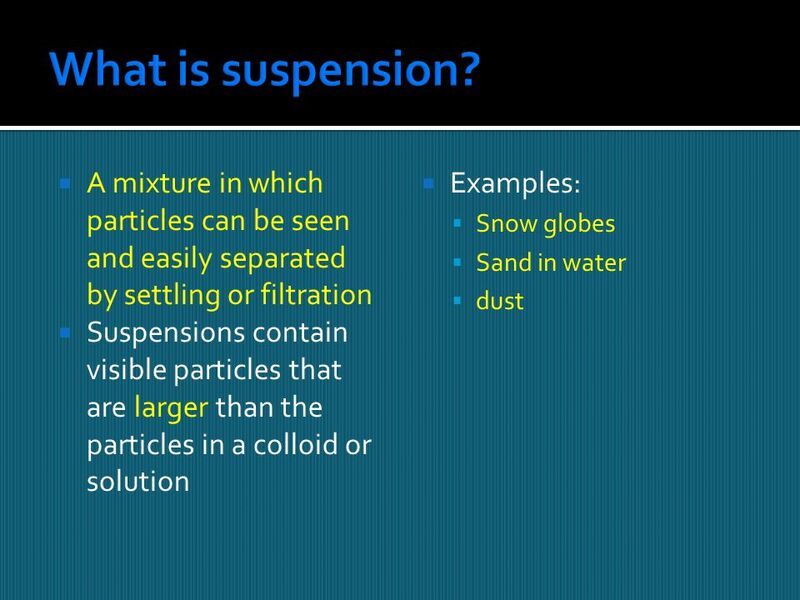 Solutions A mixture made of two or more types of particles that appears to be a single substance throughout. The particles are uniformly. Mixtures Salt water Coffee Salad dressing Soda Soup Fog. Chapter 3 Section 3:“Mixtures” Notes 12/4/07. I. Properties of Mixtures: A. A combination of two or more substances that are not chemically combined (they. 8 th Grade Science. 1. 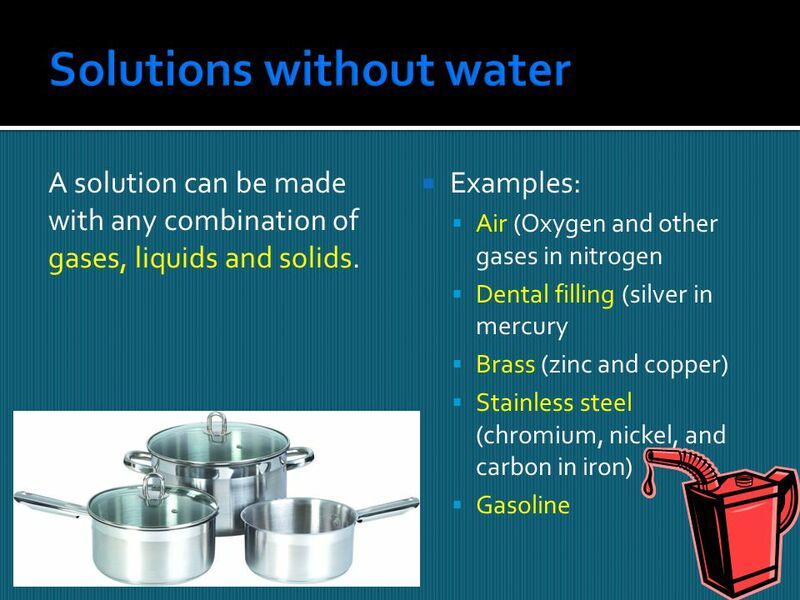 Solutions are mixtures of 2 or more substances. 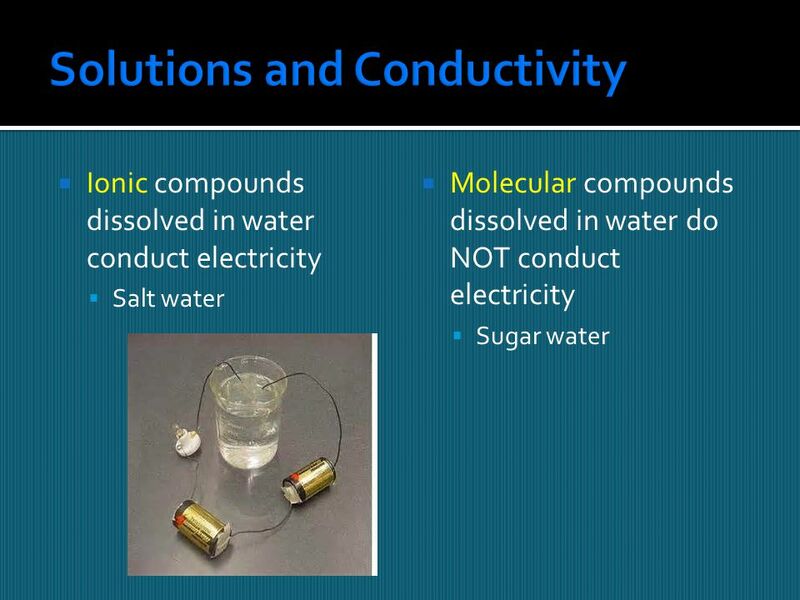 One substance dissolves completely into the other like salt and water. Notes 7-1 & 7-2 Solutions. What is a Solution? 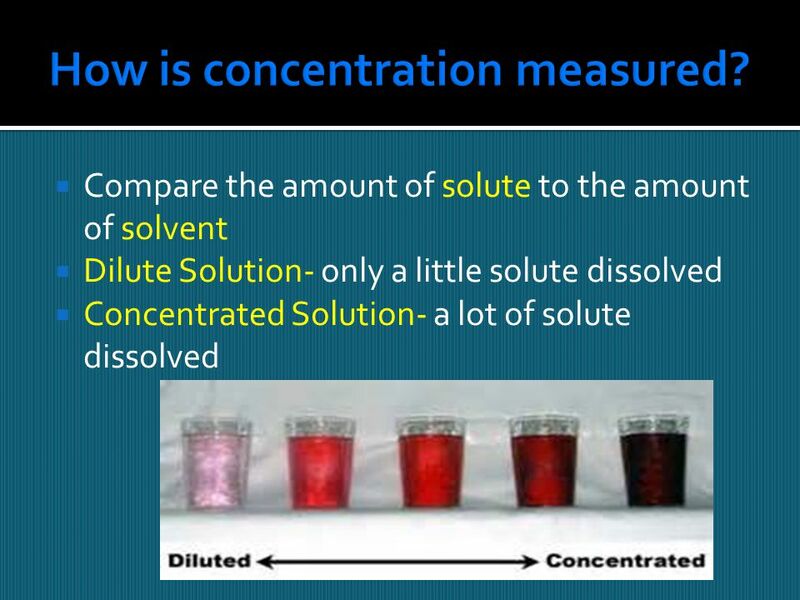 A homogeneous (uniform) mixture that contains a solvent and at least one solute Solvent = dissolves the. Acids, Bases, and Solutions Chapter 7 Mrs. Jenkins. Solutions Ch. 22. What is a solution? Solution: mixture that is ____________ throughout Solution: mixture that is ____________ throughout _____________________. Chapter 4 Material on Midterm.  What colors make up black ink? 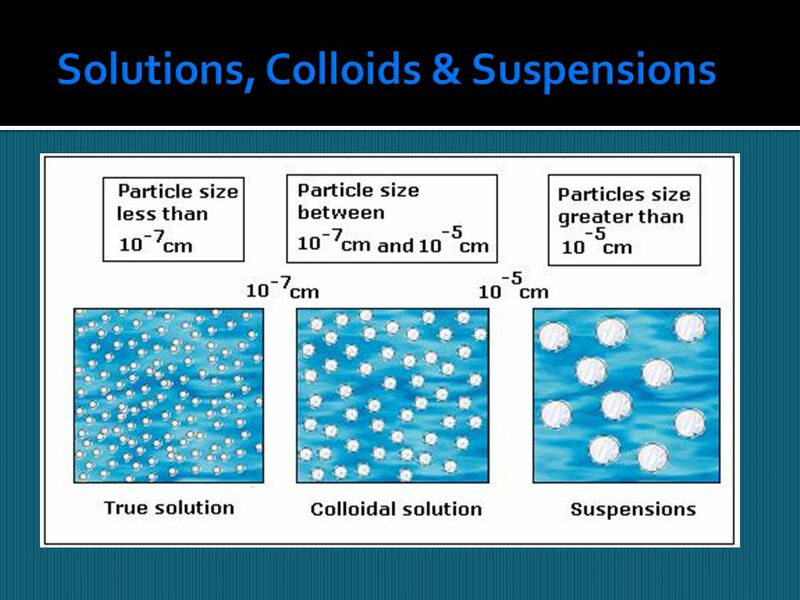 Solutions, Suspensions Colloids. 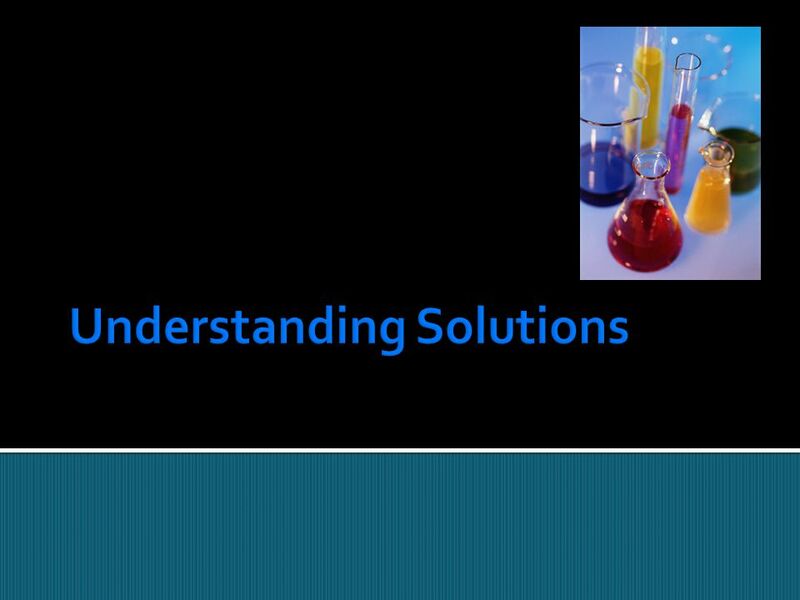 Solutions Appears to be a single substance but really two or more substances dissolved in a solvent and evenly distributed.